GQA Engineering - Design, Drawing and Precision Engineering producing the best product to suit your individual needs. Our parent company, GlueQA is a fully independent company specialising in service and maintenance requirements for Hot and Cold glue systems. We struggled to find an engineering company who would make bespoke, high quality, low quantity items for the industry. Rather than pay over the odds prices and be let down on the product, we decided to make them ourselves and to provide the same service to others. So, we have invested in the best CNC machinery operated by skilled and experienced programmers to ensure the highest precision accuracy, not only to solve our issues, but yours too. Our new, top of the range CNC machines have arrived! 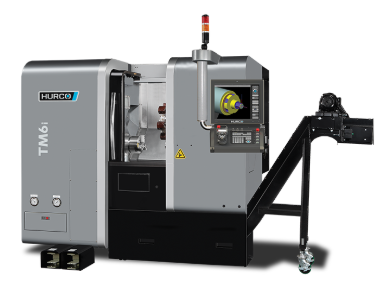 The TM6i lathe has a generous turning diameter and turning length allowing a wide range of part sizes and applications. 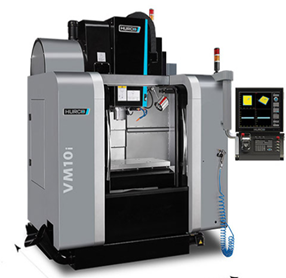 The HURCO VM10i vertical milling machine offers powerful machining with a compact footprint. It is the perfect combination of size and functionality. Designed to conserve space with the smallest possible footprint, the VM mill is loaded with remarkably big capacity, productivity and user flexibility. Using the latest in design software our in-house engineering design team are able to produce a range of drawings from initial feasibility and concept design sketches, to detailed rendered product drawings and fully detailed manufacturing / production drawings. This 3D design capability when linked to the CAM software enables us to manufacture extremely complex components. Many of our customers want quality, one-off parts and need them quick. We design the best product to suit your needs with quality and precision. If you want a high quantity or a one-off, we can provide it for you. © www.gqaEngineering.com 2019. All Rights Reserved.